Do you like to vacation in colorful historic cities? Savannah will not disappoint! This beautiful city predates the Revolutionary War! It was founded in 1733 by James Oglethorpe, who arrived from England with 114 settlers. According to the Georgia Historical Society, their aim was to increase trade and navigation and also to act as a buffer between Florida, which was controlled by the Spanish, and the rest of the northern English colonies during the Spanish War. The name Savannah was actually said to be derived from either the Sawana people, who lived in this region, or the Shawnee word for the Savannah River. Oglethorpe designed this city in twenty four symmetrical blocks that measured 60 by 40 feet. He planned for these to be public meeting spaces, social spaces, as well as places where citizens could camp out and defend against attacks from natives, from the Spanish, and even from pirates. Today you can tour many of the remaining 21 squares, that are the heart of the city, or explore them on your own. As immigrants began to fill the city, the population increased until the time of the American Revolution, when the population of Savannah exceeded 3,000, making it the twentieth largest town in the American colonies. This city is loaded with fascinating history, historical homes and buildings and interesting characters – historic and present – You might recall the book Midnight in the Garden of Good and Evil . Almost all of the people and places mentioned in the book are, or were, real life people and the events depicted there did occur. The historic Mercer House and Forsythe Park are places of interest that were focal points in the story. While this sort of bizarre tale does have elements of truth, it certainly does not typify this beautiful and hospitable city! Some of the historic sites to see include: Christ Church in Savannah, which was founded in 1733. Reverend John Wesley was the rector there from 1736-1737. River Street in Savannah is basically unchanged since the early 1800s. The warehouses that line this street are now full of shops and restaurants. 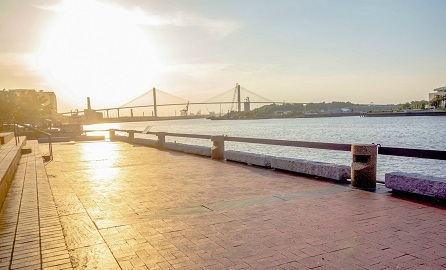 The Savannah River itself played a huge role in the history of Savannah, being instrumental in trade, transportation and the economy since the founding of the city. Forsyth Park, as mentioned, covers 30 acres in the city. This tree covered park and spectacular fountain were created as part of a beautification project in the 19th century. 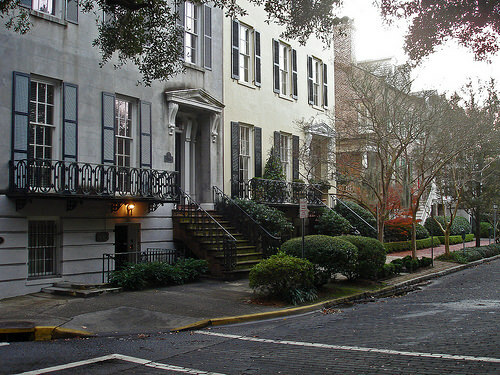 This area is one of the most photographed places in Savannah. The park is also home to the Confederate monument, erected in 1879. You can also tour the multiple historic homes in this fine city. Don’t miss the Savannah History Museum and Battlefield Memorial Park. As you see, there is much to appreciate as a history buff in Savannah. As you plan your sight seeing vacation, you will want to stay in a beautiful place that is in the heart of the historic district. 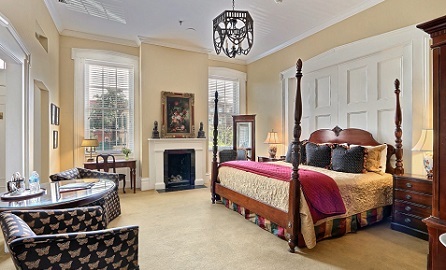 Check out Presidents’ Quarters Inn in Oglethorpe Square. 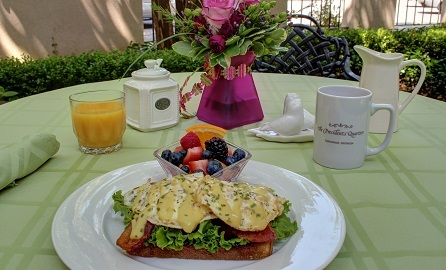 You will love the modern pampering, along with the ambiance of what it was to live in the gentile South. 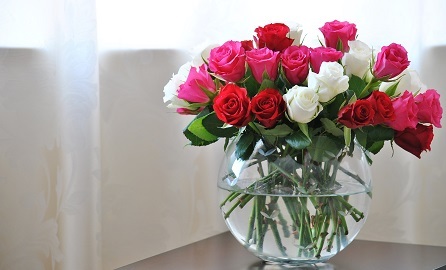 Click here to book your room today!! 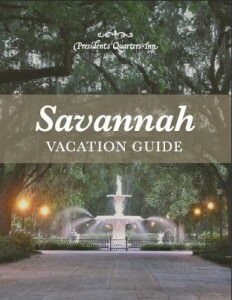 And while you are at it, click below to see our Savannah Vacation Guide.